I have been impressed by Gunnar Hillert who created a nice blog series about Apache Camel. He really hits the nail with his short and precise blog posts. At this time of writing he have two blog posts in his series. Hopefully he writes more. 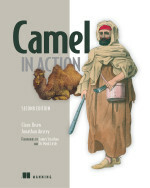 Go read mere here Camellos - Discovering Apache Camel. And make sure to read both blog posts in the series.